A couple in Indonesia was set to marry but their plans will be derailed- if not totally canceled- due to a crime they allegedly committed before they tie the knot. The couple was arrested by the local police after being accused of robbing a savings and loans cooperative to fund their wedding. The couple has been identified as 22-year-old Tri Wahyudi and 19-year-old Wiwin Winarsih. Tri happened to be a former employee of the cooperative and knew where the money was stored. The cooperative the couple robbed is located on Jl.Villa Melati Mas, Jelupang, North Serpong, South Tangerang, Banten. South Tangerang Police criminal investigation unit head Adj. Comr. Alexander Yurikho said on Sunday that the suspects used a screwdriver to pry open the office’s steel cabinet where the money is stored. The cooperative’s treasurer discovered that the money was missing when she opened the cabinet and also found scratch marks on the steel cabinet. She reported the incident to the Serpong Police. 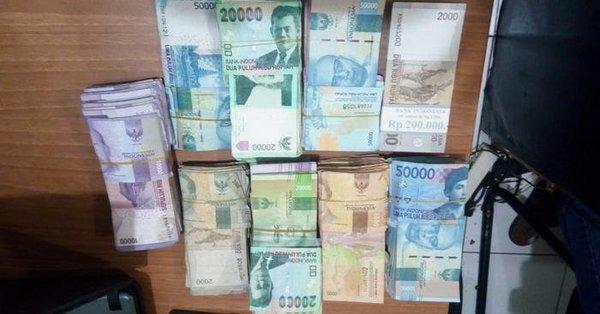 Alexander said the police arrested the couple on July 27 in Bekasi, West Java and confiscated US$1,706 in cash from the suspects. The couple was charged under Article 363 of the Criminal Code for stealing, with a maximum sentence of seven years in prison. The wedding has been canceled for now.